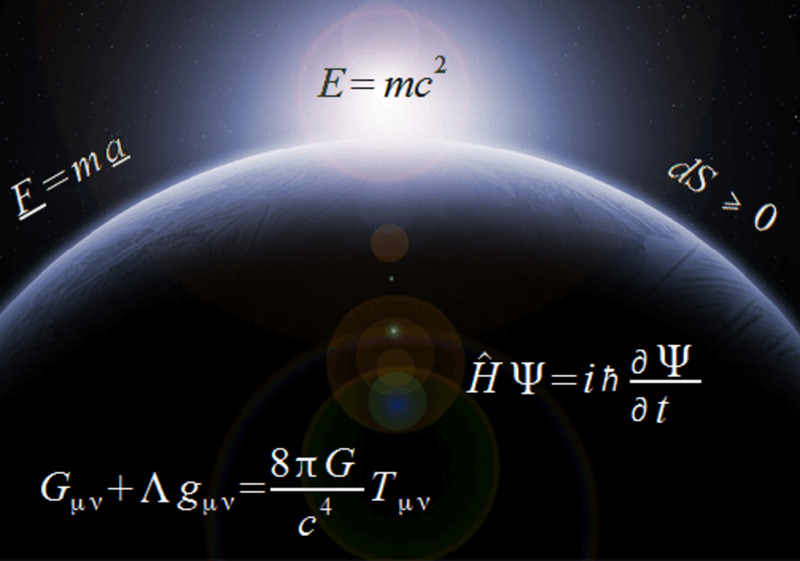 It goes without saying that physics governs our lives. Whether we think about it or not, we cannot exist without its laws bounding us to reality. 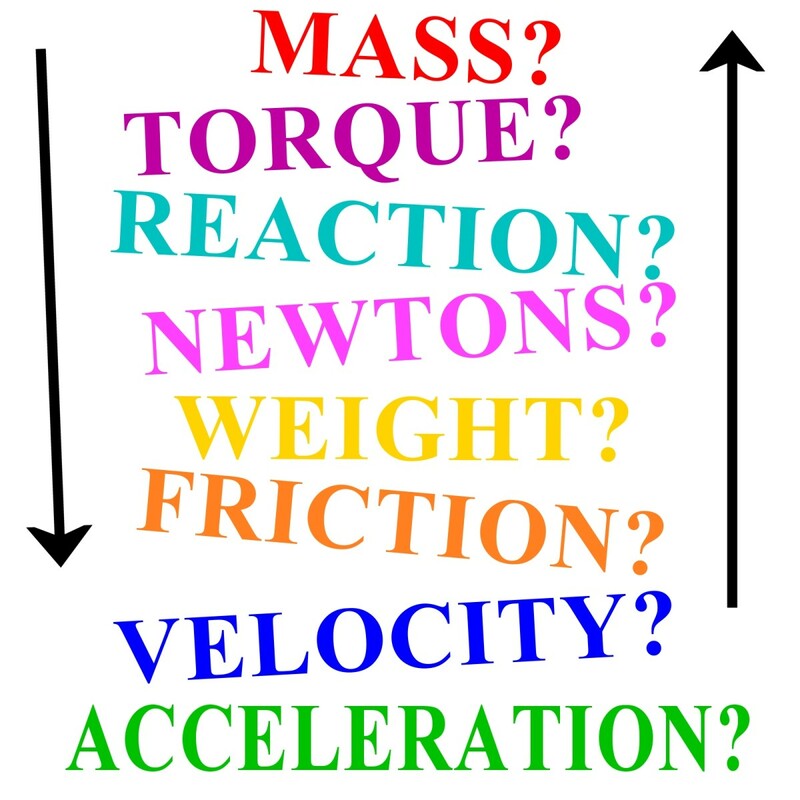 This seemingly simple statement can be a boring proclamation that takes any umph out of the triumph that is physics. So what surprising facets are there to discuss that are not at first apparent? What can physics reveal about some ordinary events? You would be hard-pressed to find someone who was happy to get ticketed for speeding. Sometimes we might contend in court that we were not speeding and that the technology which busted us was at fault. And depending on the situation, you may have a case for yourself that can actually be proved. Imagine whatever you are riding in, whether it be a bike, motorcycle or car, is in motion. We can think of two different speeds pertaining to the vehicle. Two? Yes. The velocity that the car is moving at with respect to a stationary person and the velocity at which the wheel spins on the vehicle. 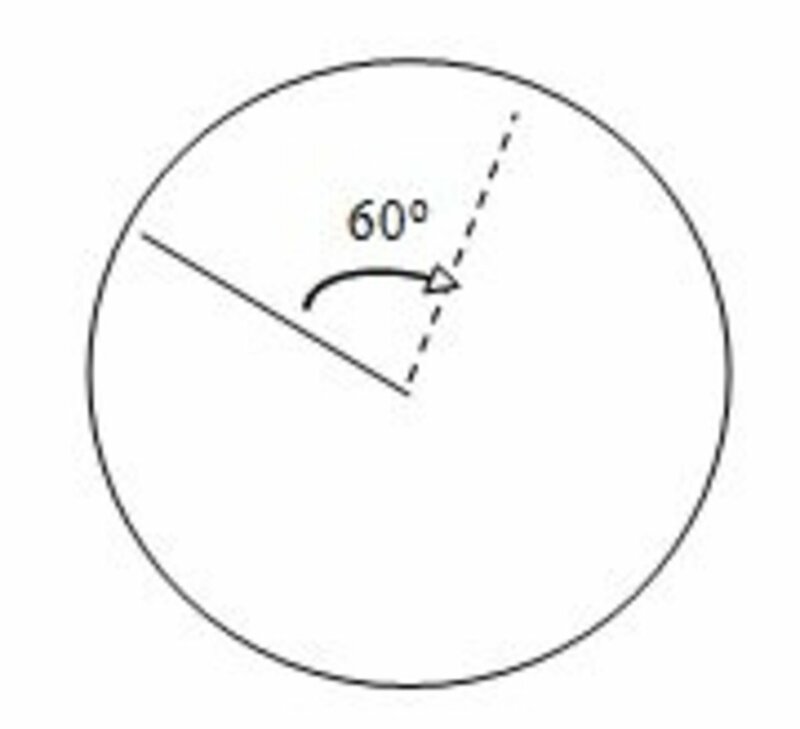 Since the wheel spins in a circle, we use the term angular velocity, or σr (number of revolutions per second times the radius), to describe its motion. The top half of the wheel is said to be spinning forward which means then that the bottom half of the wheel is going backward if any spinning is to occur, like the diagram shows. 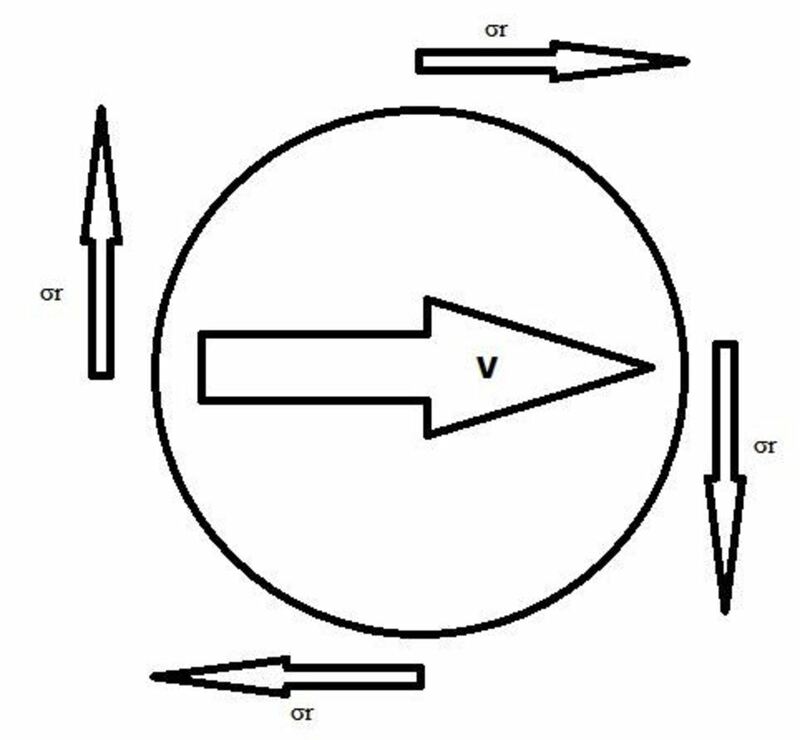 When a point on the wheel touches the ground, the vehicle is moving forward at speed v forward but the wheel is spinning backward, or overall velocity at the bottom of the wheel equals v-σr. Because the overall motion at the bottom of the wheel is 0 at that instant, 0 = v - σr or the overall speed of the wheel σr = v (Barrow 14). Now, at the top of the wheel, it is spinning forward, and it is also moving forward with the vehicle. That means the overall motion of the top of the wheel is v + σr, but since σr = v, the overall motion at the top is v + v = 2v (14). Now, at the forward-most point of the wheel, the motion of the wheel is downward, and at the back-point of the wheel, the motion of the wheel is upward. So the net velocity at those two points is just v. So, the motion between the top of the wheel and the middle is between 2v and v. So, if a speed detector was pointed at this section of the wheel, then it could conceivably say that you were speeding even though the vehicle wasn’t! Good luck in your endeavors to prove this in traffic court. When we try to balance ourselves on a small amount of area like a tightrope walker we may have heard to keep our body low to the ground because that keeps your center of gravity lower. The thought process is the less mass you have higher up, the less energy is required to keep it upright, and thus it will be easier to move. Alright, sounds good in theory. But what about actual tightrope walkers? They do not keep themselves low to the rope and in fact, may utilize a long pole. What gives? (24). Inertia is what (or what doesn’t) give. Inertia is an object's tendency to stay in motion along a certain path. The larger the inertia, the less of a tendency for the object to change its course once an external force has been applied to it. This is not the same concept as the center of gravity for that is about where the point-mass of an object resides if all the material that constitutes it were compacted. The more this mass is actually distributed away from the center of gravity, the greater the inertia is because it becomes more difficult to move the object once it is bigger (24-5). This is where the pole comes into play. 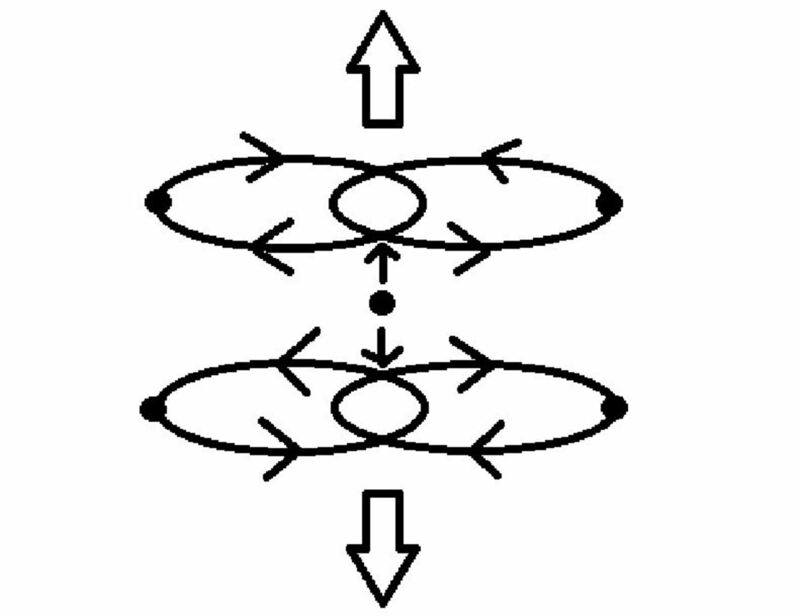 It has a mass that is separate from the tightrope walker and is spread out along its axis. This lets the tightrope walker carry more mass without it being close to his body’s center of gravity. This, his overall mass distribution is increased, making his inertia bigger in the process. 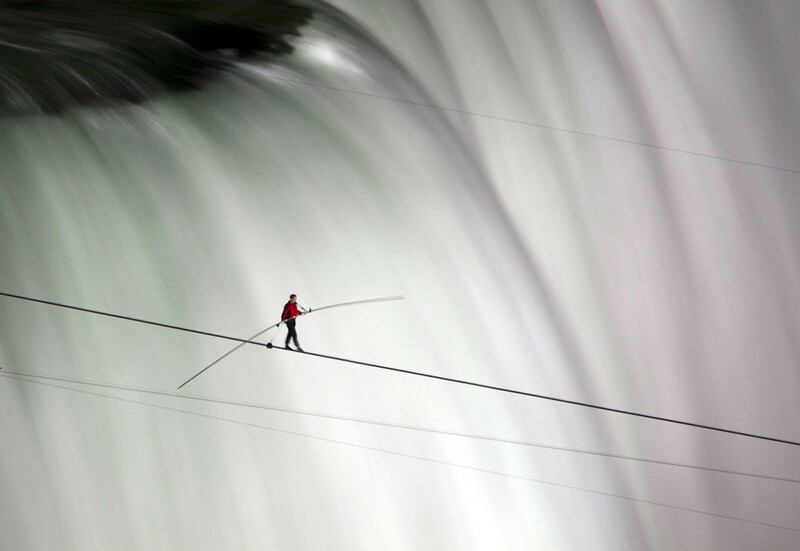 By carrying that pole, the tightrope walker is actually making his job easier and allows him to walk with greater ease (25). Sometimes a small fire can get out of control quickly. Various reasons can exist for this including an accelerant or an influx of oxygen. But an often overlooked source of sudden blazes can be found in dust. Dust? Yes, dust can be a huge factor in why flash fires happen. And the reason is surface area. Take a square with sides of x length. This perimeter would be 4x while the area would be x2. Now, what if we split that square into many parts. Put together, they will still have the same surface area, but now the smaller pieces have increased the total perimeter. For example, we split that square into four pieces. Each square would have a side length of x/2 and an area of x2/4. The overall area is 4*(x2)/4 = x2 (still the same area) but now the perimeter of a square is 4(x/2) = 2x and the total perimeter of all 4 squares is 4(2x) = 8x. By splitting the square into four pieces, we have doubled the total perimeter. 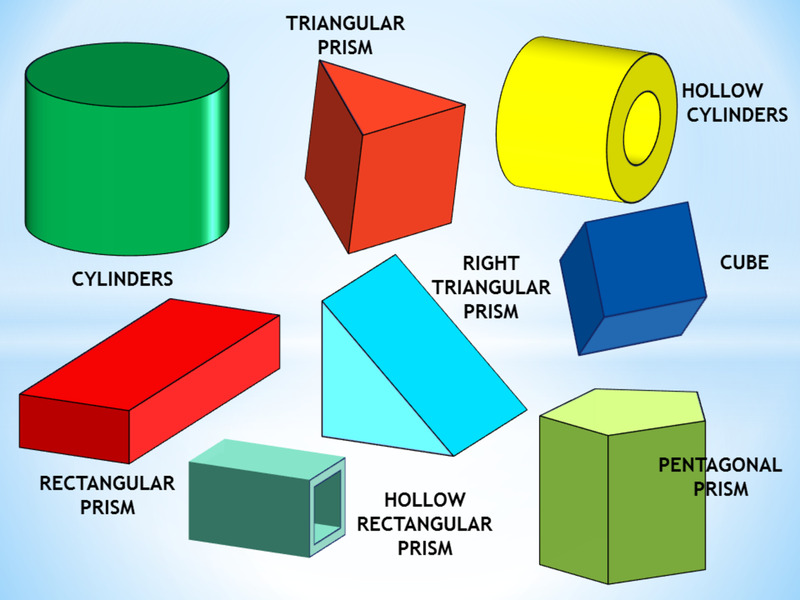 In fact, as the shape gets broken down into smaller and smaller pieces, that total perimeter increases and increases. 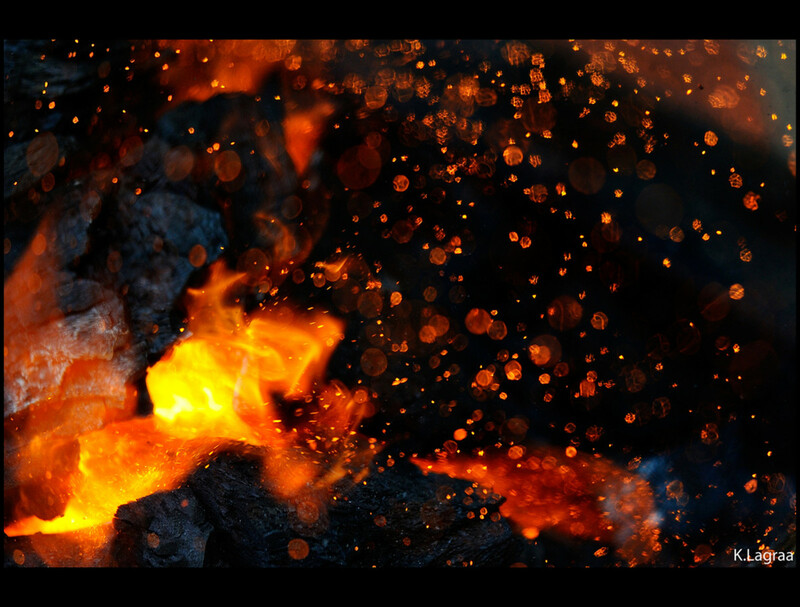 This fragmentation causes more material to be subjected to flames. Also, this fragmentation causes more oxygen to be available. Result? A perfect formula for a fire (83). When windmills were first constructed, they had four arms that would catch the wind and help propel them. Nowadays they have three arms. The reason for this is both efficiency as well as stability. Obviously, a three-armed windmill requires less material than a four-armed windmill. Also, windmills catch the wind from behind the base of the mill, so that when one set of arms is vertical and the other set is horizontal only one of those vertical arms receives air. The other arm will not because it is blocked by the base and for a moment the windmill will experience stress because of this imbalance. Three armed windmills will not have this instability because at most two arms will be receiving wind without the last one, unlike the traditional four-armed one which can have three out of four receiving wind. Stress is still present, but it is decreased significantly (96). Now, windmills are distributed evenly around a central point. This means that four-armed windmills are 90 degrees apart and three-armed windmills are 120 degrees apart (97). This means that the four-armed windmills gather in more wind than their three-armed cousins do. So there are give-and-takes for both designs. But how can we figure out the efficiency of the windmill as a means of harnessing power? That problem was solved by Albert Betz in 1919. We begin by defining the area of wind that windmill receives as A. 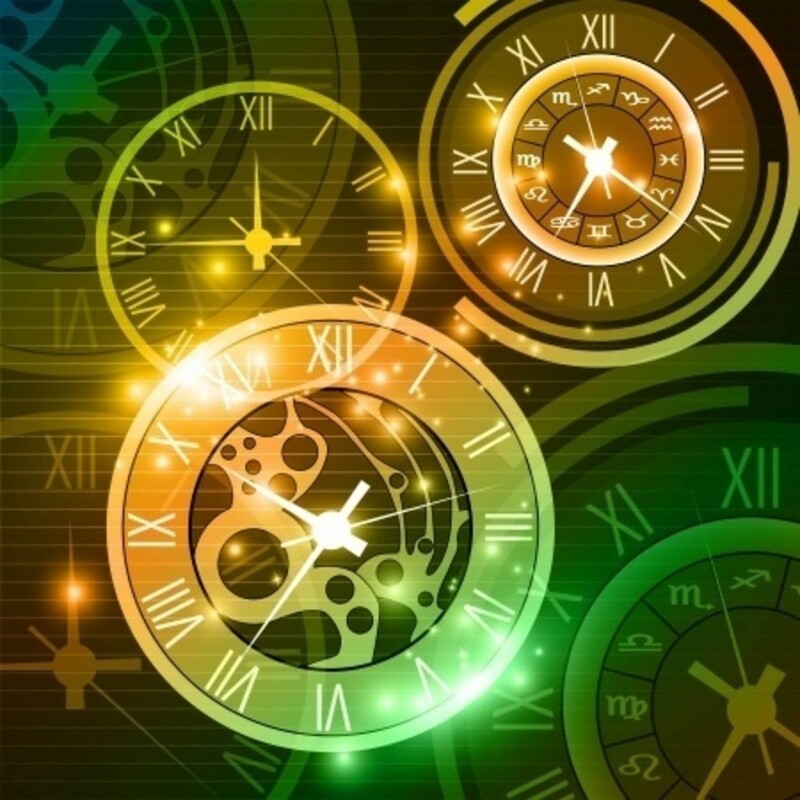 The speed of any object is the distance it covers in a given length of time or v = d/t. When the wind collides with the sail, it slows down, so we know that the final speed will be less than the initial, or vf > vi. It is because of this loss in speed that we know energy was transferred to the windmills. The average speed of the wind is vave = (vi+ vf)/2 (97). Now, we need to figure out exactly how much mass the wind has as it hits the windmills. If we take the area density σ (mass per area) of the wind and multiply that by the area of wind that hits the windmills, we would know the mass, so A*σ = m. Similarly, the volume density ρ (mass per volume) multiplied by the area gives us the mass per length, or ρ*A = m/l (97). Okay, so this far we have talked about the speed of the wind and how much is present. Now, let’s combine these pieces of information. The amount of mass that moves in a given amount of time is m/t. But from earlier ρ*A = m/l so m = ρ*A *l. Therefore m/t = ρ*A *l /t. But l/t is an amount of distance over time so ρ*A *l /t = ρ*A *vave (97). As the wind moves over the windmills, it is losing energy. So the change in energy is KEi – KEf(for it was bigger initially but now has decreased) = ½*m*vi2– ½*m*vf 2 = ½*m*(vi2-vf 2). But m = ρ*A * vave so KEi - KEf = ½*[ρ*A *vave *(vi2-vf 2)]. = ¼*ρ*A *(vi+vf )*(vi2-vf 2).Now, if the windmill were not there then the total energy the wind would have would be Eo = ½*m*vi2 = ½*( ρ*A *vi)*vi2 = ½* ρ*A *vi 3 (97). For those who have stayed with me this far, here is the home stretch. In physics, we define the efficiency of a system as the fractional amount of energy that is converted. In our case, efficiency = E/Eo. As this fraction approaches 1, that means we are converting more and more energy successfully. The actual efficiency of a windmill is = [¼*ρ*A *(vi+vf )*(vi2-vf 2)]/[ ½* ρ*A *vi 3] = ½*(vi+vf)*(vi2-vf 2)/vi 3 = ½*(vi+vf)*(vf 2/vi 3 – vi2/vi 3) = ½*(vi+vf)*(vf 2/vi 3 – 1/vi) = ½*[vf*(vf 2/vi 3 – 1/vi) + vi*(vf 2/vi 3 – 1/vi)] = ½*(vf 3/vi 3 – vf/vi + vf 2/vi2 – 1) = ½*(vf/vi +1)*(1-vf 2/vi2). Wow, that is a lot of algebra. Now, let us look at this and see what results we can gather from it (97). When we look at the value of vf/vi, we can make several conclusions about the efficiency of the windmill. If the final speed of the wind is close to its initial speed, then the windmill did not convert much energy. The term vf/vi would approach 1 so the (vf/vi+1) term becomes 2 and the (1-vf 2/vi2) term becomes 0. Therefore in this situation the efficiency of the windmill would be 0. 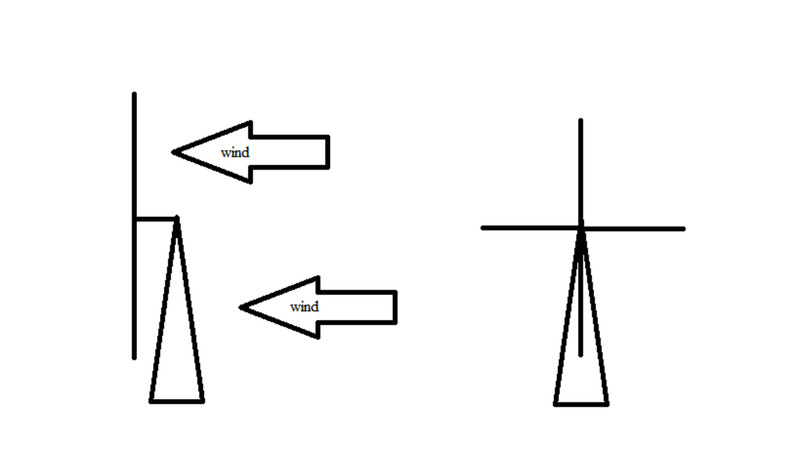 If the final speed of the wind after the windmills is low, that means that most of the wind was converted into power. So, as vf/vi gets smaller and smaller, the (vf/vi+1) term becomes 1 and the (1-vf 2/vi2) term also becomes 1. Therefore, the efficiency under this scenario would be ½ or 50%. Is there a way for this efficiency to get any higher? Turns out, when the ratio vf/vi is about 1/3, we will get a max efficiency of 59.26%. This is known as Betz Law (of max efficiency from moving air). It is impossible for a windmill to be 100% efficient and in fact most only achieve a 40% efficiency (97-8). But that is still knowledge that drives scientists to push the boundaries even further! We've all heard them, but why do kettles whistle the way they do? Steam leaving the container passes through the first opening of the whistle (which has two circular openings and a chamber), the steam starts to form waves that are unstable and tend to stack up in unexpected ways, preventing a clean passage through the second opening, causing a buildup of steam and a pressure differential which results in the escaping steam forming little vortices which generate sound though their motion (Grenoble). Get this: scientists at Stanford University found that when working with water solutions were mixed with the food coloring chemical propylene glycol, the mixture moved and created unique patterns without any prompting. Molecular interaction alone couldn't account for this, for individually they didn't move as much with their surface. Turns out, someone breathed near the solution and movement happened. This clued the scientists to a surprising factor: the relative humidity in the air actually caused the motion, for air motion near the surface of the water causes evaporation. With the humidity, the moisture was replenished. With the food coloring added, enough of a difference in surface tension between the two would cause an action that then resulted in motion (Saxena). We have all seen the crazy water bottle throwing trend, trying to get it to land on a table. But what is going on here? It turns out, plenty. The water is free flowing in the liquid and as you spin it the water moves outward because of centripetal forces and increasing its moment of inertia. But then gravity starts to act, redistributing the forces in the water bottle and causing a decrease in its angular speed, as the Conservation of Angular Momentum. It essentially will fall nearly vertical, so timing the flip is critical if you want to maximize the landing chances (Ouellette). Barrow, John D. 100 Essential Things You Didn't Know You Didn't Know: Math Explains Your World. New York: W.W. Norton &, 2009. Print. 14, 24-5, 83, 96-8. Grenoble, Ryan. "Why Do Kettles Whistle? Science Has An Answer." Huffingtonpost.com. Huffington Post, 27 Oct. 2013. Web. 11 Sept. 2018. Ouellettte, Jennifer. "Physics holds the key to performing the flipping water bottle trick." arstechnica.com. Conte Nast., 08 Oct. 2018. Web. 14 Nov. 2018. Saxena, Shalini. "Liquid droplets that chase each other across a surface." arstechnica.com. Conte Nast., 20 Mar. 2015. Web. 11 Sept. 2018.